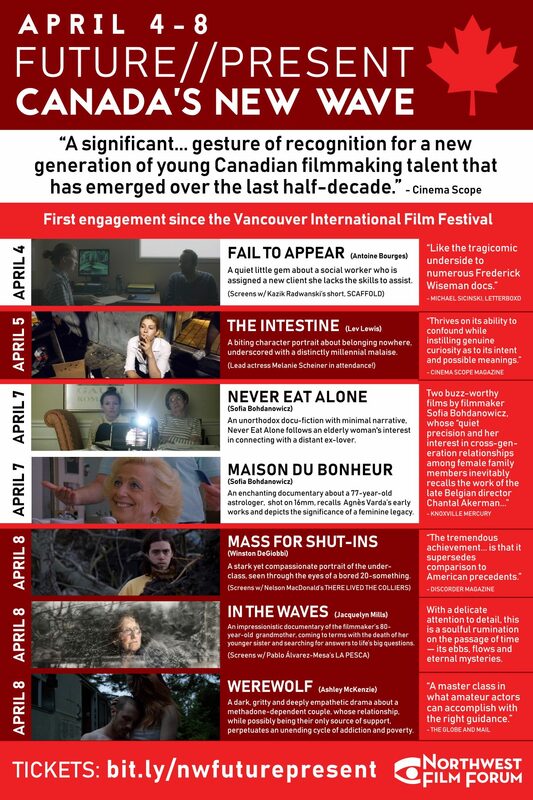 Originally presented as part of the Future//Present film series (now entering its third year) at the Vancouver International Film Festival, this curated selection features six debuts and one sophomore feature that exemplify the best from an exciting new generation of Canadian independent cinema. Predominantly made outside of conventional funding models and with minimal resources, these striking and unique visions are bold in both form and production. All film descriptions in this series courtesy of Adam Cook, Vancouver International Film Festival.